August is Women’s Month and, as such, we’re paying extra special attention to helping our ladies stay safe on the road. 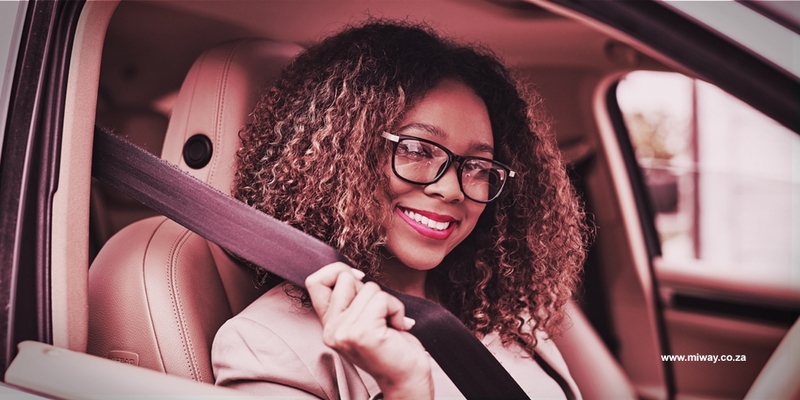 Road safety is imperative, irrespective of who is behind the wheel, however, ladies need to be extra vigilant when driving alone or with children as they are often seen as ‘soft targets’. Unfortunately, we can’t predict every emergency situation you could find yourself in, but there are precautions you can take into account when it comes to your safety. Stay alert. Hijackings tend to be crimes of opportunity, so if you want to avoid becoming a statistic, you need to be vigilant. Remember that not all threats are obvious, so stay cognisant of anyone or anything that looks unusual before entering or exiting your vehicle. If you notice something suspicious, drive (or walk) away immediately and report it. Easy access to keys. Keeping your keys where they will be easily accessible to you is very important. Keep them close, but not visible, so you can quickly reach for them without getting distracted and presenting yourself as an opportunity for lurking criminals. Stay calm. Now is not the time to remember “I am woman, hear me ROAR!” When faced with a dangerous situation, the best plan of action is to remain calm, keep your temper under control and avoid any threatening language – complicity is your biggest weapon in this type of situation. By obeying orders and surrendering any requested valuables, you will stand a far greater chance of escaping the situation alive. Avoid eye contact, any sudden movements or anything that might be perceived as resistance. Put your right foot forward. A less obvious obstacle for women comes in the form of footwear. While certain situations undoubtedly demand more decorative shoe formats, it is important to keep a spare pair of flats/driving-friendly shoes in the car. Opt for a shoe with a moderate sole, with enough grip to avoid slipping and sufficient feel to maintain optimal pressure. Remember that while heels might look great, they can get caught under pedals and ultimately undermine your ability to control the clutch or brake – and let’s face it, there is no occasion worth injuring yourself or risking your life for. Dial down distractions. Between work, ferrying kids around and tending to the various other administrative tasks today’s women face on a daily basis, it can be tempting to take your eyes off the road for a second or two. It is those seemingly harmless interludes that can be the difference between life and death, so it is important to make sure you have all the necessities tended to before setting off. Set your phone to ‘Drive mode’, if it has this function, or silence it completely and insert any necessary GPS co-ordinates before you leave so as to reduce splitting your focus. Remove all the necessities you might need from your handbag in advance, rather than fumbling for them on the move – and then store your bag out of sight. By being prepared, you will be far better equipped to reach your destination safely. Take these safety tips into account and ensure that you travel as safely as possible. For added peace of mind, ensure that you have affordable comprehensive car insurance that offers roadside assistance.